Although tennis has always been a well-supported extra mural activity, the addition of Tennis to the school’s Smart Sport programme, in 2015, resulted in the number of participants tripling. Tennis coaching is undertaken by a professional tennis coach and TNS staff act as assistant coaches. Tennis is offered to learners from Grade 4 – 7. Tennis is offered, through the Smart Sport Programme and as an extra mural activity, throughout the year. The tennis league season is in Term 3. 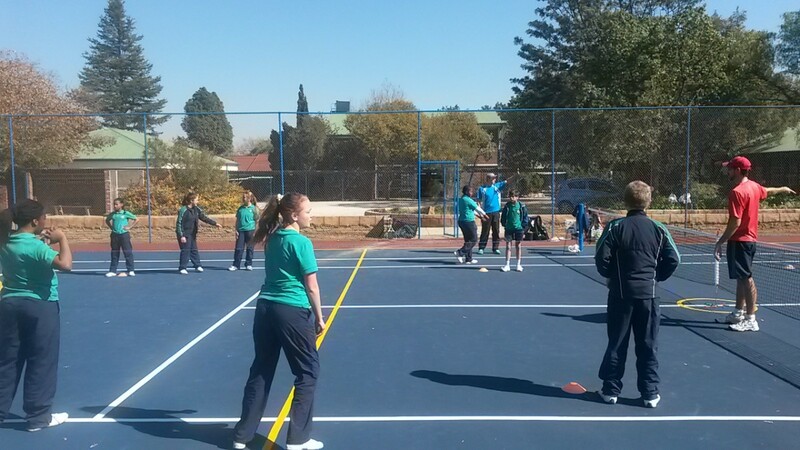 Smart Sport coaching takes place on school premises, during regular Phys Ed periods. Extra mural practices take place after school – practise times and days may vary seasonally. Please consult the extra mural timetable for more details. Tennis matches are usually played at various Club venues and players are expected to make their own travel arrangements to and from these venues. The school PT kit is worn for practices and matches. Tennis shoes with a clear or white sole are compulsory. Children must have their own tennis racket.